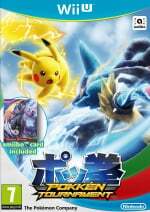 Pokkén Tournament will be a key release for Wii U in 2016, with its brand power and concept sure to attract plenty of buyers. Fans have been looking on enviously at those with access to the arcades for long enough, and pretty soon we'll all be joining in. There'll undoubtedly be plenty of hype and build-up next year, but we do have another neat video that's been produced for the Japanese market. It's actually a long-winded promotion for the console bundle that'll hit the country, which includes a Shadow Mewtwo amiibo card. In practice, though, it gives about two minutes of high octane footage, with arguably the best sequence reserved for the deadly-but-cute Masked Pikachu. Check it out below and let us know whether this is on your wishlist for next year. I've not played through a single game of Pokemon (though I have a few hours clocked in Y), but I really enjoy the art style (just bought Pokemon Art Academy too) and so look forward to seeing how this turns out. Pokkén Tournament is on my wishlist for next year, and whilst it does look a little light on content at the moment, this trailer has gotten me excited for the game once again. Of the Pokémon shown so far, I think I'll be looking to use Weaville first, though whether I'll stick with using Weaville will all depend on playstyle preferences and what other Pokémon get announced. I can't wait for this. I wonder how similar it is to Tekken, I've always wanted to get in to Tekken but never really felt like getting into those huge movesets. Maybe this will help me get comfortable with the series. Where is my Masked Pikachu Amiibo? It'll be my first Pokémon game. "There'll undoubtedly be plenty of hype and build-up next year,"
After Mario Tennis, AC:aF and Devil's Third have pretty much launched without any hype whatsoever - Devil's Third is almost completely invisible and AC:aF isn't even available on the eShop - I would normally poo-poo any thoughts of hype, but since this is a Pokemon game I can see the hype getting real. Pokemon is the 1 line of Nintneod games that really does hype right. Announce a game in advance, date the game, promote the game incessantly, release the game on time. And if XZ and YZ ever gets announced,they can probably add Zygarde. Well unless he's in already, haven't been paying that much attention to who's in and who isn't. So is that entire video of the Wii U version, not the arcade? Looks really good. I'm really not a fan of invisible walls, prefer actual walls or open areas or falling off, but since Poekmon battles normally tka eplac ein arenas I suppose it make sense. OK, very important question - will this game have couch vs or is it simply 1 player? We just got Godzilla for $9 on PS3 and while my kids are having a bit of fun w/ it, it's single player only. I think we've already gotten out $9 worth, but if we are buying this Day 1 for $60 I'd like 2 player. How come the two articles don't mention the game's release date is March 18th? At least that's what I saw on serebii. No, that would be the Tough Pikachu. This is the Cute Pikachu. Oh my gosh. I just realized! 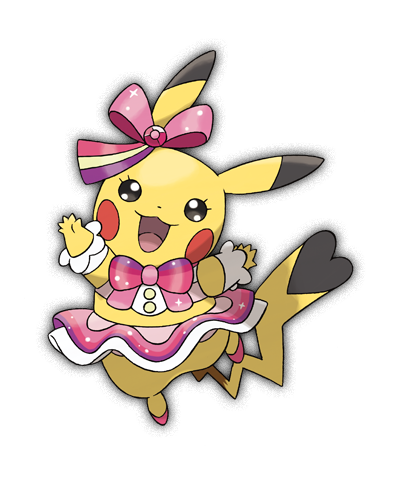 Masked pikachu is a girl. Yeah, it's just the cosplay Pikachu from OR/AS. System seller? No real Pokemon games on wiiu is there!? I just think the gameplay is way to slow and the special effects get in the way, making it hard to see with smaller vs. bigger characters. Even Dawn from Pokemon said something about less is more appealing. This game is gonna be so awesome! It's supposed to have local multiplayer and online multiplayer according to Serbia and others. @Spin Tekken tag Tournament 2 would actually be your best option if you want to play an easier Tekken to get you started. Just, for the love of God, don't touch the Combot Lab mode. The rest of the game, while still having the large movesets to learn, is designed to be more of a pick up and play type of fighter and is still relatively easy to play without learning any movesets. Looks amazing! I'm hyped I just hope the controls, etc. are as smooth as the graphics! @Xenocity Thanks Xeno, good to know. Is that a record for the shortest post you've ever made. Is this on my wish list? Is an Exploud loud? You darn right it is!!! @kamifox1 Thanks, that's the one with the Wii U version right? I was planning to pick that one up at some point. @Spin Yeah, it is, I'd highly recommend it to anyone who's a complete beginner with fighting games and is looking to get into Tekken specifically. 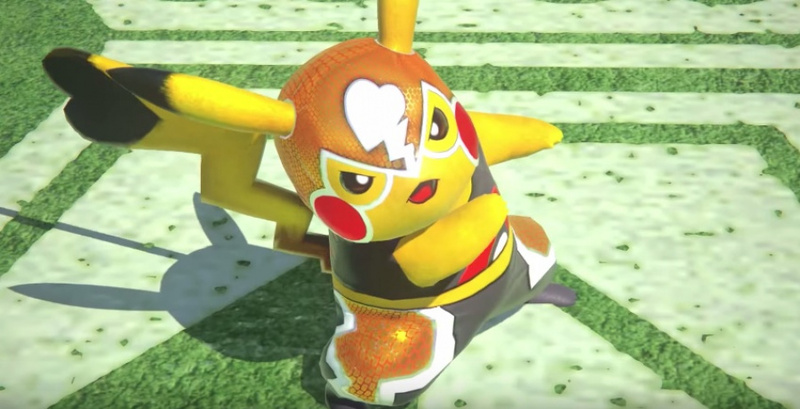 It's "Pikachu Libre," not "Masked Pikachu." Even the animé tie-in episode said so. @KO-Cub Personally, I prefer slower fighting games that give you more time to think about your next move and give you a better chance to punch in special move inputs (if the game has them). I get lost with stuff like the higher speeds on "Super Street Fighter II: Hyper Fighting. I also don't like how the timing is so strict in the Street Fighter and Tekken franchises for chaining together basic attack combos.